How long do Juvederm injections last? Are there ways to minimize Botox side effects? I heard that Botox has some side effects like droopy eyelids. Any way to make sure my Botox (first time!) has no negative side effects? Can any dermal filler be used for lip augmentation? Which is the best one to use? 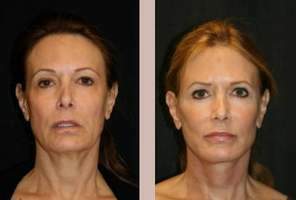 what fotofacial/ipl treatments work best for mouth lines? what works better for lines around the mouth- Genesis or IPL? Can Botox be injected under the armpits for excessive sweating? Does this work? If not are their alternatives? What is an alternative to an IPL treatment that lasts longer than a year? It says that IPL treamtments will last only a year? However, I can not afford to redo this treatment every year. I have sun damage and need a more permanent option. Do you do laser treatments on acne? I have acne and I want it removed. I was wondering if you did laser on acne. Does the cost of Dermal Fillers say something about the qualification of a practitioner? What is an approximate amount to pay for Dermal Fillers? Would a company offering a cheaper service suggest a unqualified practitioner and if so what qualifications should I look for in a cosmetic practitioner? I can no longer see my teeth when smiling after having Juvederm injections. What can be done? I had Juvederm injections to my lips and now they swelled to the point where my teeth are no longer visible. Is this normal? What should I do? Is Raidesse a good choice for lips? I'm looking for a dermal filler that will last and look natural in the lips. Is Radiesse a good choice?